Are you looking for a vendor that purchases Used or Excess Cisco Aironet Wireless 5GHz Antennas? NetEquity.com is a leading wholesale commercial buyer and seller of Cisco Aironet 5GHz Antennas and other equipment. We buy both Used and New Cisco Aironet antennas. If you have recently upgraded your wireless network, or have excess inventory of Cisco wireless antennas or accessories you want to sell, connect with a buyer agent today to receive a quote! Cisco offers several different styles of antennas for use with access points and bridges inboth 2.4-GHz and5-GHz products. Every antenna offered for sale has been FCC-approved. Each type of antenna will offer different coverage capabilities. As the gain of an antenna increases, there is some trade-off to its coverage area. Usually high-gain antennas offer longer coverage distances, but only in a certain direction. The radiation patterns below will help to show the coverage areas of the styles of antennas that Cisco offers: omnidirectional, Yagi, and patch antennas. NetEquity.com Buys and Sells Cisco Aironet 5GHz Wireless Antennas . If you are looking at Buying or Selling Cisco antennas, we can help! Contact us today for a quote. Are you interested in pricing on New or Refurbished Cisco 5GHz or other wireless antennas? We sell both New and Refurbished Cisco Aironet 5GHz Antennas in a range of models. Our New and Refurbished Cisco Aironet antennas include a full 1-Year Replacement Warranty. NetEquity.com can offer competitive pricing on New and Refurbished Cisco antennas. To request a price quote, simply contact us or complete a quote request form online to get started. NetEquity.com can usually ship your order same-day, and can fulfill time-sensitive equipment orders or hard-to-find products on short lead times....ensuring you get the hardware you need to complete your projects and stay on track with your busy schedule. We support delivery via most major carriers including Fedex, UPS, USPS Priority Mail and DHL. We also provide logistical support, timely tracking, Blind Drop Shipping and product fulfillment. Tired of waiting out long delivery timelines with your current IT/Networking equipment hardware vendor? We can help! If you have a Word or Excel file containing the details of the Cisco product inventory you are interested in buying or selling, please upload it here. NetEquity.com wants to buy your used, excess or end-of-life Cisco wireless antennas. If you've simply outgrown your Cisco wireless equipment and are interested in a trade-in or upgrade, we can help. 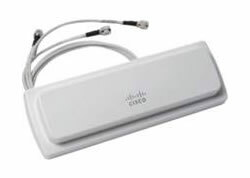 Contact us today to Buy or Sell Cisco wireless antenna equipment.